Own vs Rent: How Much Home Can You Purchase For $1000/$1500/$2000 a Month? 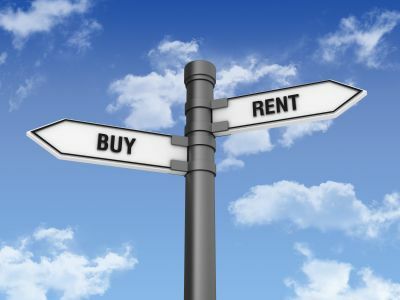 There is a common misconception that renting is cheaper than buying, which is why so many people, particularly younger, choose to rent rather than buying. However, the statistics show that on average, the monthly payment that people tend to make to pay off their mortgage is cheaper than the monthly payment made for rent. So, does that mean buying a home is cheaper than renting and much “house” can you get for your money? If you look at just the monthly payment of renting vs. buying, it would appear that purchasing a home with a mortgage is the cheaper of the two options. Over the past five years, the monthly costs of both rent and mortgage payments have increased, but the price of rent has increased more quickly than the price of mortgage payments. Just a few years ago, renting was significantly cheaper than purchasing property, however, that has since changed. If you can see the many benefits of buying property rather than renting but aren’t sure if you could afford to go from renting to buying, then you’ve come to the right place. Our guide below is packed full of useful tips for determining if buying a home is a worthwhile investment to make. One reason why rental prices are constantly increasing is that the value of the property is also increasing, which is partially due to the high number of buy-to-rent properties increasing. Landlords are snapping up second and third homes which means that the price of the available properties are increasing as they are becoming more and more sought after. It’s these combined trends that have led to many people who would not have been renting 20 years ago having no choice but to rent. This, in turn, means that there is a far higher demand for rental homes, which then means that the prices of properties increase, which equates to higher rental rates. On the other hand, the interest rate that comes with most mortgages has stayed the same for the past few years, which means mortgage payments can be more affordable than renting. However, there is still the issue of a down payment, which is what holds so many renters back from buying. Could you afford to buy a home? It’s clear that buying can be the cheaper of the two options and the more cost-effective option when it comes to monthly payments but could you afford to buy a home? The truth is that not everyone is ready to buy as it depends on what you can afford to spend each month and the size of the downpayment that you can put together. There are also other costs that go along with being a homeowner but for the sake of this article, we’ll focus on the monthly mortgage payment vs rent payment. The larger your down payment the larger proportion of the mortgage you pay upfront which will lower your monthly mortgage and interest rates. The larger your down payment the more affordable your mortgage should be. A home can be pricey and even a 10% down payment is a fairly sizable down payment. In addition to saving up for your down payment, there’s also the affordability checks for a mortgage that you need to pass. Based on what you earn and how much you can afford to pay a month for your mortgage, a decision is made regarding whether you are a suitable mortgage applicant. To determine if you could get a mortgage and what you could get for $1000, $1500 or $2000 dollars a month, you might want to consider using a mortgage calculator. If you’re looking for an Illinois mortgage, the A and N mortgage calculator is a great place to start the process off. What’s great about these kinds of tools is that they allow you to get a clear view of every financial aspect of taking out a mortgage in Chicago and make it clear what you can and cannot afford to do. For just under $1000 a month, with a 35-year-mortgage you could get a house worth $200,000. Whereas, for just under $1500 a month, again with a 35-year-mortgage, you could buy a house worth $300,000. Or, for just under $2000 a month, with a 35-year-mortgage you could purchase a house worth $400,000. However, if you were to shorten the repayment period, you would get a less “house” for your money, which is why often, longer repayment periods are preferred over than shorter ones. There you have it, a guide on whether you should opt to continue renting or choose to purchase your own home. The best option is to buy a property if you are able to do so, as buying tends to be far cheaper in the long run, plus you end up owning the property as each time you pay your mortgage you buy a little bit more of your home. This entry was posted in 'financial tips', a and n mortgage, homebuying, Tips and Tricks. Bookmark the permalink.